Back pain is a common problem, and most Americans experience some form of back pain in their lifetimes. Dr. Patrick T. Boylan of Lake Physical Medicine works with patients in Mentor, Ohio, to provide interventional back pain relief. By combining physical therapy, mainstream medicine, and regenerative medicine techniques such as injections, Dr. Boylan helps patients find lasting relief from back pain. Call or schedule an appointment online or to meet with Dr. Boylan about managing your back pain through innovative regenerative medicine techniques. If you have trouble walking, sitting, sleeping, or exercising due to your back pain, Dr. Boylan can help you feel better. Severe back pain can limit your mobility and ability to go about your daily activities, but it's manageable with the right care. If you’re experiencing prolonged or acute back pain, contact Dr. Boylan’s office to schedule a consultation to manage your pain. You don’t have to live with back pain. Since all back pain is different, Dr. Boylan customizes your treatment plan to help you reduce your pain. Some back pain is caused by disease or injury, while others experience back pain due to environmental factors. Because back pain sources are varied, treatment depends on which course most effectively addresses the problem. If traditional medicine alone hasn’t worked for you, Dr. Boylan creates a personalized plan to address your back pain through regenerative medicine therapies. What regenerative medicine treatment options are available for back pain? Regenerative medicine techniques can help restore healthy cells in the damaged area of the muscles or joints, therefore reducing back pain. 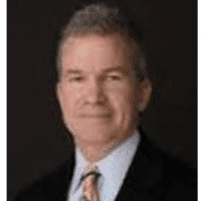 Dr. Boylan works with you to determine the best course of treatment for your pain, and if it includes regenerative medicine techniques. If over-the-counter medications or mainstream options to treat back pain have not worked for you, pain-relieving injections may ease your pain. Epidural steroid injections in the spine can reduce back pain by decreasing inflammation around the affected nerves. Platelet-rich plasma (PRP) injections use your own blood, isolating cells containing growth factors and other substances that promote rejuvenation of tissue, and injecting them into the damaged area. You should be able to resume regular activity following your PRP injection treatment.